When extracted, Slate, being a shale-type rock, retains a high degree of fissility, a property that allows it to be split into sheets using the ancient art of ‘docking and riving’. This characteristic lessens as the stone loses its water of crystallization, until it hardens and becomes water resistant. 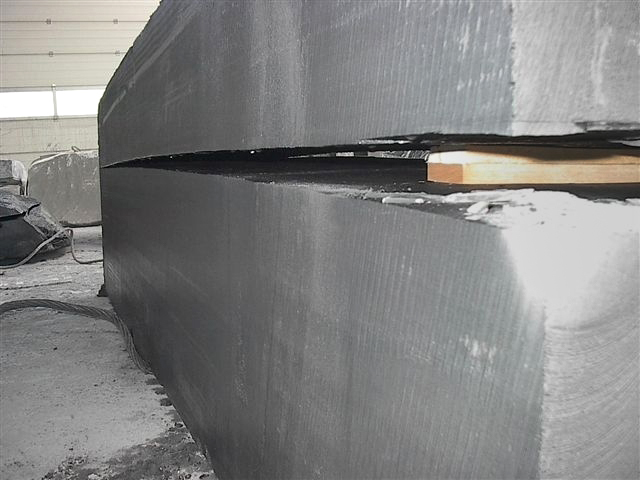 In order to maintain the workability of the material and allow the splitting process to be carried out at a later stage, it is essential to keep the blocks of slate wet, from extraction to the moment they are dressed. This is done using the same methods as in the past. Before taking the blocks of slate out of the mine they are covered in a layer of wet sand or slurry composed of water and powdered slate, and wrapped in plastic to avoid drying, before moving on to the next stage. 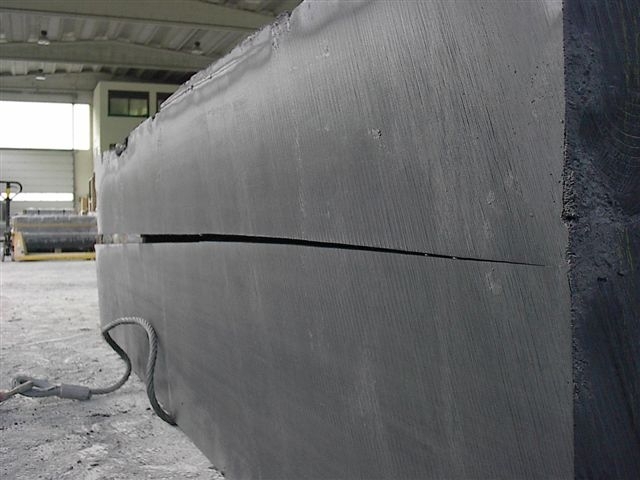 The technique of splitting or “riving”, is the main stage of the various processes required to work and prepare slate for different uses, from construction to design. Unchanged over the years, this special technique is practically unique and has been performed in the same way for centuries. Even today, in fact, the slaters of Liguria called ‘spacchini’ or ‘splitters,’ work with the same tools as yesteryear, using expert gestures to reveal the splendid material which gives a unique and exclusive appearance to both exteriors and interiors, roofing and cladding. After docking or cutting large blocks and obtaining the pieces of slate to be split, the slate worker places them between his knees and, with the aid of a cleaving hammer and chisel, cleaves or splits the stone into increasingly thinner sheets. 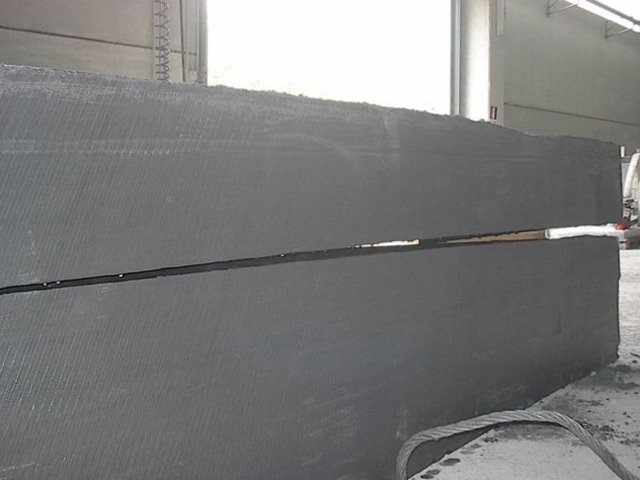 Separating the sheets in this way becomes progressively more and more difficult, down to the last possible split within the limits of resistance. Each sheet is unique. This ancient craft is perfectly integrated with the most advanced and innovative techniques used to work stone.